A collection of thrifty DIY projects that you can make today! Hello there sweet friends! 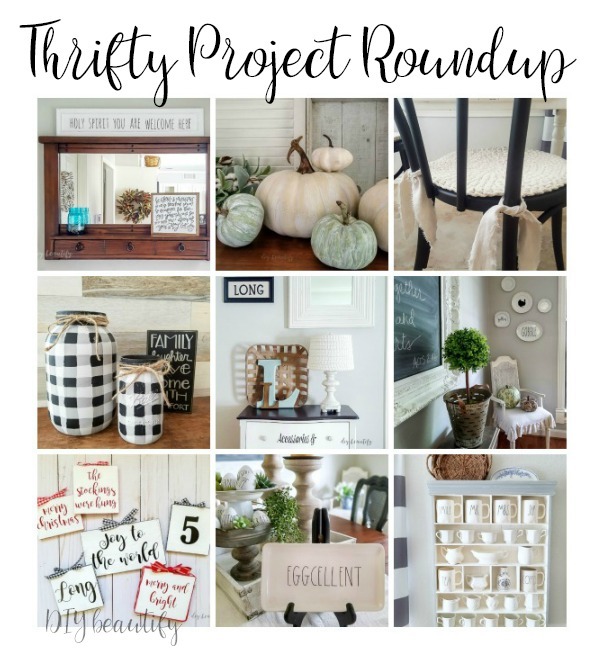 Today is Thrifty Style Team, when a talented group of DIY bloggers shares our thrifty projects and decor with you! We're changing it up a bit this month. 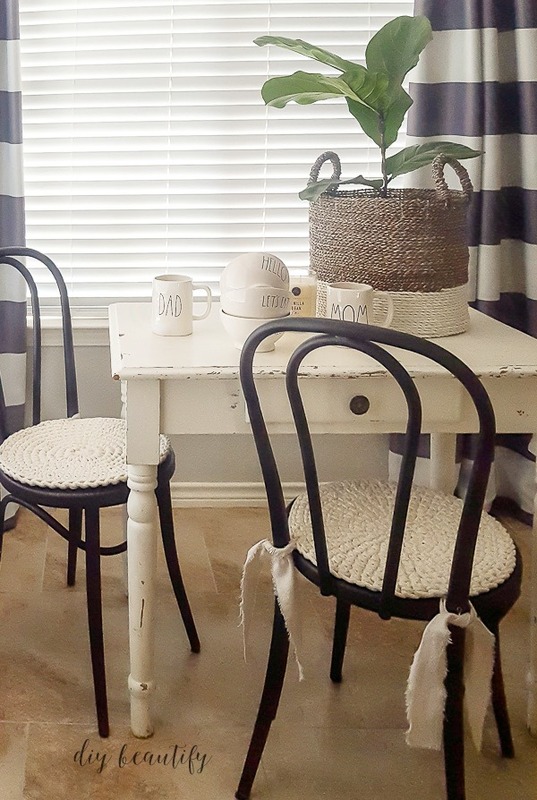 Some of us are sharing our favorite thrifty finds with you, others are sharing our favorite thrifty projects. 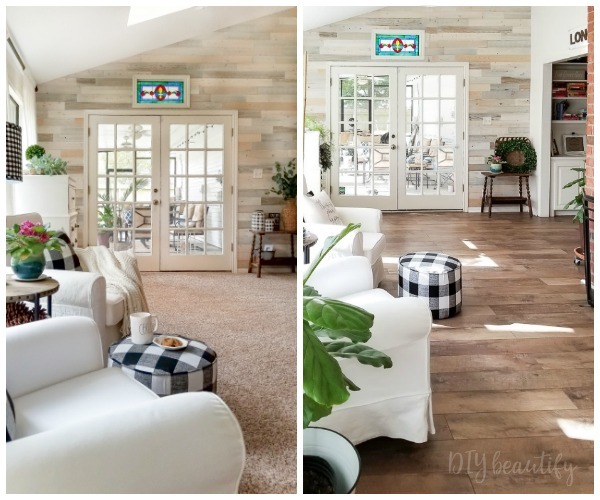 I'm sharing a roundup of all my thrifty DIY projects for the Thrifty Style Team...9 projects that you may have missed! Don't throw away old signs...recycle them! 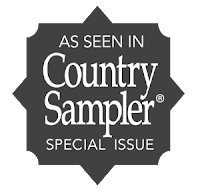 You can click here to see what this sign looked like before I remade it. There was nothing wrong with it, I was just ready for a change and rather than throw the sign out, I chose to recycle it! Very thrifty, right? Fall may be months away yet, but if you were a smarty-pants, you stocked up on clearance pumpkins! 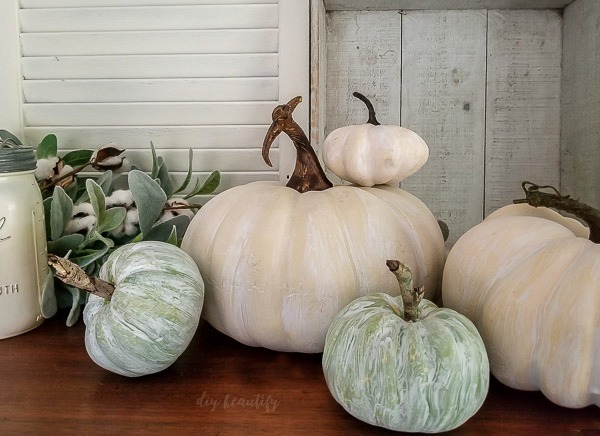 This tutorial shows you how to give those pumpkins more farmhouse appeal with a simple whitewash technique. You could certainly try this technique on other items you find, like fruit and veggies, even wood items that need to be toned down! This is one thrifty technique to have in your arsenal that is definitely not pumpkin-specific! These cutie little chairs from Target needed a little something to soften the seat. After scouring ideas on Pinterest, I came up with the easiest solution ever! Thank you HomeGoods!! Mason jars and buffalo plaid are a match made in heaven! And they're so easy to do! You don't even need any artistic skills to create these little beauties! 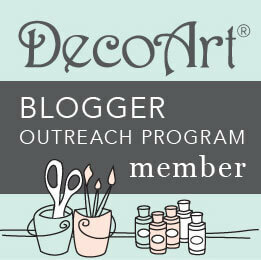 I share my tutorial for painting a buffalo plaid pattern onto mason jars here. If you're a fan of buffalo check, try this technique on vases, glasses, candle holders and more! Another recycle project, this tutorial shows you how to completely change the look of a lamp using chalk paint and some clearance ribbon! I took this lamp from cute to classy! Because sometimes a holiday calls for a little something extra! Plates on the wall are great, but plates on the wall with removable seasonal silhouettes...even better! Check out this easy tutorial! This Christmas project was a great way to use up some leftover wood from my wood walls. However, this idea could be used year-round for DIY signs around your home! You can find all the details here. Each one of the gals in the Thrifty Style Team gave away a gently used item of their own home decor last month! Aren't we generous? I was lucky enough to find multiples of this cute Rae Dunn Easter tray, and gifted one to a lucky reader. 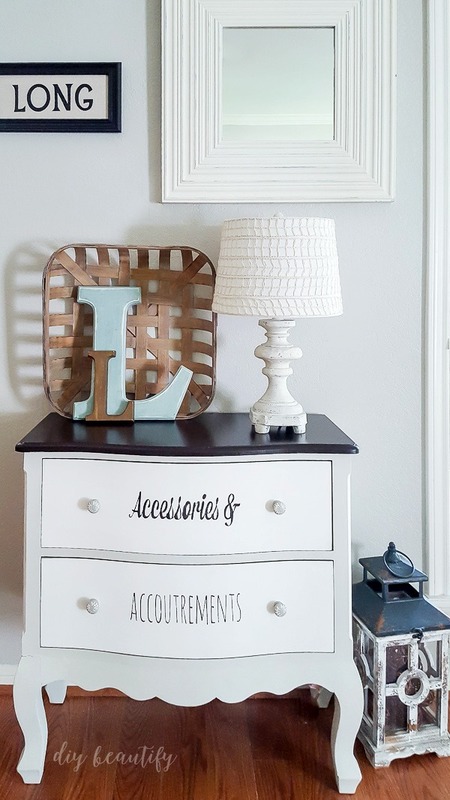 Obviously the giveaway is over, but you can still find some inspiring ideas for ways to display your Rae Dunn here. There's also a tutorial for those sweet Rae Dunn lookalike Easter eggs. And finally, I shared a craft cubby that got a new life with paint and became a display cabinet for some of my Rae Dunn mugs and ironstone pitchers! You can read more about that transformation here. I truly love chalk paint and its ability to transform nearly everything! Go ahead and PIN this image below for handy reference! Personally I can’t wait for pumpkin season again! I agree Bliss...Fall is my very favorite time of year! Seriously? These projects are amazing!! I wish we could thrift and craft together! Thanks so much Deborah! Oh that would be so much fun!! 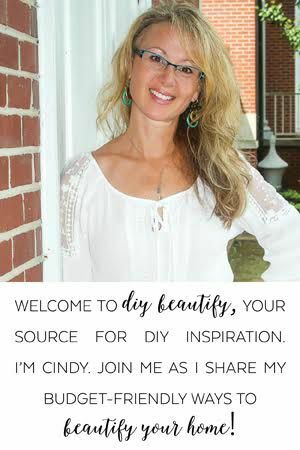 So many amazing ideas Cindy!! I think that craft cubby is my favorite! The black and white checked Mason jars have my heart! 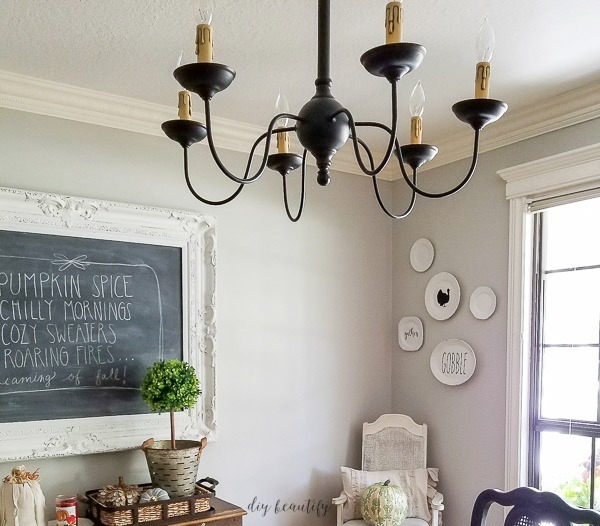 All these projects are fabulous, but I especially love your mini farmhouse signs - they are just too cute! 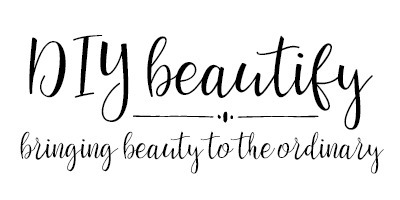 Your Rae Dunn collection is to die for!! LOVE! I love visiting your blog to see all of your creative ideas. It is hard to choose my favorite project. 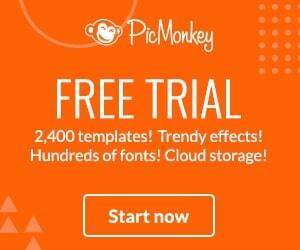 Love all of your amazing thrifty ideas! 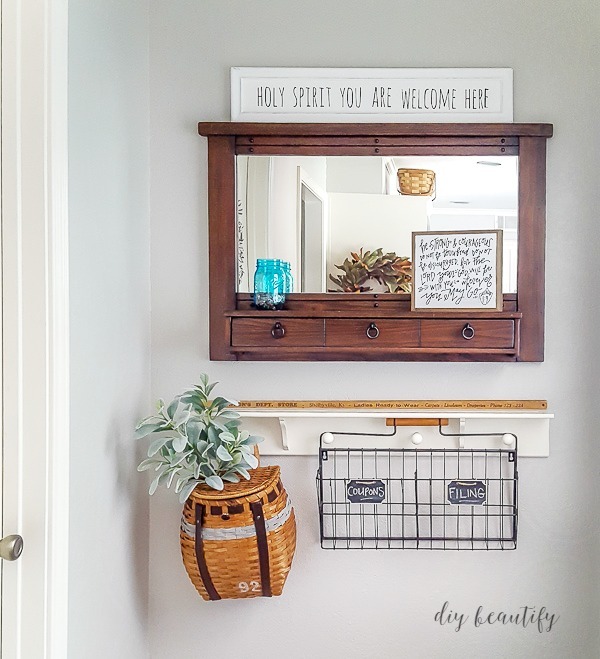 Your craft cubby redo is one of my favorites! all of these projects are so cute and creative. I especially love the seat cushion idea. thanks for sharing and inspiring.